Thehbh case study represents the mobility difficulty of a 72 years widower due to the stroke and she had a feeling of isolation. She had difficulty in bathing due to her mobility issues. She found it difficult to manage the daily activities . However, she was able to cook, maintain the decorum of house and able to enjoy going to the club for meeting her friends but shopping was difficult for her because she was not able to drive. Moreover, her family lived far away from her; therefore no family members were there to take care of her. Her neighbors help her in gardening. The caregiver who assesses her by asking her about her needs reported that she experiences loneliness along her mobility issues. They also reported that she requires someone to help her in maintaining a house and arranging delivery of her. The major problem she experienced was mobility issue and subsequent loneliness which had an effect on her quality of life. Stroke is a brain attack where brain cells deprived of oxygen and begin to die (Yelnik et al. 2017). Some people recover from the stroke after few months but some experiences severe mobility issue that interrupted the daily activity. Therefore, require the assistance of nurses to manage the daily activities and overcome issues of loneliness (Yelnik et al. 2017).. Nurses play an important role in managing the daily activities of the patient by a addressing the area of concern of every patient (Pollock et al. 2014). Philosophical approaches with the support of principle, knowledge, theories along with models will help to overcome the issues with the help of healthcare professionals (Yelnik et al. 2017). Therefore, this paper will illustrate structure, system and model for assessing the needs of Mrs. X, current skills for assessment and the advice as a manager for managing information systems the issues of Mrs. X. As observed in the case study, Mrs X was experiencing mobility issue due to stroke and subsequently faces difficulty in managing daily activities. For assessing the area of concern of the patient, the national occupational standards for social work refers to some of the framework and care plan to manage the issues (English, Hillier and Lynch, 2017). 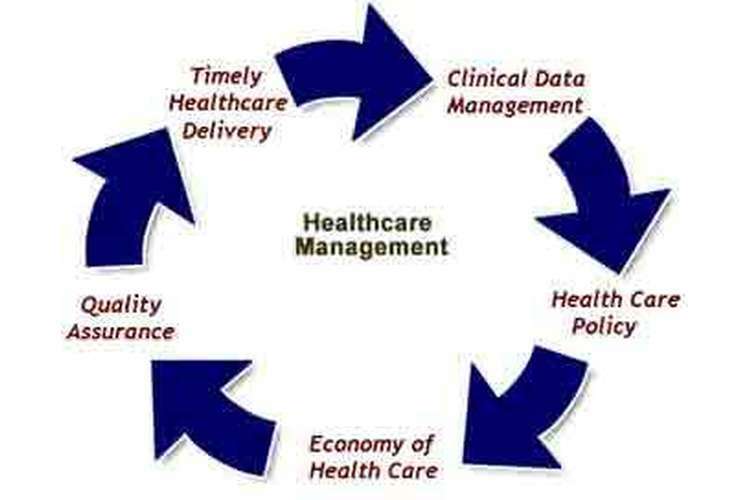 Philosophy of the care can be applied which identify the purpose and theoretical framework that underpin the particular practice to manage the issues of the patient. As a health professional, for assessing the issues of the patient, certain codes of ethics such as obtaining the information without offending the person or questioning the cultural belief of the individual need to consider so that the patient. Nursing and Midwifery Council outlined an ethical consideration that requires for assessing the patient (Bradbury?Jones and Broadhurst, 2015.). Making the care of the people as the first concern and treating them as individuals by respecting their dignity is the first ethical consideration. Second ethical consideration is for health professionals, working with others and promoting health well being of the patient and their family members, caregiver and wide community (Haddad et al. 2015). Providing the high standard of practice all the time and be open and honest, acting with integrity and uphold the reputation of the profession are other ethical considerations need to take in the account during assessing the area of concern of patient (Vryonides et al. 2015). For providing a care to the patient, there are certain documents designed for the health professionals as a part of the care planning process which enhances the assessment of the health professionals (Bradbury?Jones and Broadhurst, 2015.) First documentation is required for the initial assessment with general information of the patient such as name, marital status of the patient, any known allergies, contact of the independent (Haddad et al. 2015).. Personal assessment documentation is needed for assessing the biological risk factors such as sleeping, eating schedules, dressing and movement of the patient along with the exercise and activities of the patient (nstefjord et al. 2014). The personal assessment also includes the psychological area of concerns such as the thought process of the patient, mood and emotions of the patient, beliefs about others need to consider along with the social life of the patient (Farag et al. 2016).. General risk assessment documentation helps to identify other risk factors for managing the health issues of the patient (Haddad et al. 2015). During the assessment, the personal decision of the patient plays important role in decision making the successful intervention plans (Bradbury?Jones and Broadhurst, 2015.).. From above case study analysis, lifestyle factors increase the risk of stroke which includes the high blood pressure, diabetes, high blood pressure, and drinking habits or high-fat diet need to monitor for reducing the occurrence of stroke (Benner, 2015). Biomedical models can be used for assessing the risk where the model helps to recognize the signs and helps to treat the signs and symptoms of the disease involving complex physical need (Kontunen et al. 2018). The recording sheet can be maintained for the noting down signs and symptoms of the patient for further assessment. The banner mobility assessment tool can be used for assessing the degree of the mobility of Mrs X and it was seen that the patient scored well although she was not entirely stable but have mobility issue in bathing and treatment requirements for developing gait and stabilize her movement (Kontunen et al. 2018). Holistic assessment is available for assessing the situation of the patient in the deeper level and address the need of her (Nanninga et al. 2018). Since she lived in isolation and experienced loneliness that affected her daily activity and grossly decreases her quality of life (Deschênes and Goudreau, 2017). An empowerment model of health and social care planning is available which seeks to help the person to control over their health and social needs by taking the holistic approaches for providing the support to the person which require collaboration between the patient and health professionals(Jensen et al. 2015).. Applying the empowerment model, assessment of her thought process and reason behind her isolation and loneliness can be done (Nursalam, et al. 2018). Since her family lived far away from her, she was feeling low and isolated herself due to her mobility issue (Miller, 2018). The empowerment model suggested that losing the individuality can lead to the loss of empowerment and controls over health which is crucial for enabling the recovery of individuals (Deravin et al. 2017). Loss of mobility was the main reason that had not only affected her daily activities but had also made her isolated and depressed (Jensen et al. 2015). Accordingly, effective care interventions were given which helped her to develop better quality lives (Cairns et al., 2015).. Upon going through the case study of Mrs X, I believe that upon being entrusted with the task of being her respective nurse manager, I will be required to employ a holistic approach for the successful provision of adequate care principles for the patient, along with efficient conductance of her assessment procedures. As opined by the World Health Organization (1998), there is a need for the consideration of the individualistic interests of the concerned patient, concerning the prevalence of emerging trends considering inequalities pertaining to health on a global scale (Batterham et al. 2016). Since the required communication skill sets should encompass a holistic approach for the purpose of caring for Mrs X, which includes the conductance of a biopsychosocial model is of utmost importance for the purpose of caring and assessing the concerned patient (Cairns et al., 2015). Hence, for the purpose of the conductance of the same, as a nurse manager for Mrs X, I am required to consider her psychological, her social, her biological as well as her spiritual characteristics, for the purpose of sufficient execution of my skill sets required for her assessment of care. Due to my duty as a nurse manager for the purpose of care provision of Mrs. X, I am also required to engage in active nursing delegation procedures, considering the various physiological requirements of Mrs X. Appropriate delegation, is one of the key skills required by nurses in appointed in leading roles, for the optimum management of the care treatment of critical individuals (Johnson et al. 2015). As evident from the aforementioned case study, Mrs X is overcome with several difficulties regarding the conductance of appropriate household activities. Hence, I would appoint a domestic help for the purpose of conducting all of Mrs X’s is household chores, along with the necessary activities which are required for the sustenance of herself and the household, which includes shopping and collection of the required groceries. I will make sure that the help designated by me, would be adequately educated and compatible with the usage of technology, for the purpose of conducting online shopping practices for Mrs X. As evident from the aforementioned case study, it is to be noted that Mrs X undergoes considerable difficulties in her performance of activities pertaining to movement and self-care. For the fulfillment of this need, I will appoint an in-house nurse. An in-house nurse is a nursing professional who upholds the qualification of a licensed practical or registered nurse and engages in active specialization in the provision of household aid to patients who are unable to conduct a movement to external nursing care homes for the purpose of treatment (Landsperger et al. 2016). The employment of in-house nurses is of particular importance for the purpose of providing care for senior individuals due to their decreased physiological functioning (Farag et al. 2016). Hence, the in-house nurse appointed by me as a nursing manager for the purpose of caring for Mrs X would engage in active assistance in helping her perform her movement across the household, along with sufficient aid during conductance of her bathing and toiletry activities (Balslev et al. 2015). Hence, it is worthwhile to mention, that apart from usage of the empowerment as part of implementing the care process of Mrs X, I will also require the implementation of sufficient delegation activities as part of my skill set for successful fulfillment of my duties as a nurse manager. From the above analysis of the case study, it was observed that the patient, Mrs. had a mobility issue due to the stroke and she experienced loneliness due to her isolation. Nurses play a crucial role in managing her mobility issue and emotional distress. The APIE framework has been designed based on the evidence-based practices and considering the biopsychosocial models or empowerment model for managing the issue of the patient (Jensen et al. 2015). It suggested that the plans are designed according to the assessment of the patient and implementation would be done by seeking the consent of the patient and evaluated with the assistance of the multidisciplinary team and patient (Griffiths, 2015). From the assessment, it was found that she had difficulty in showering since she could not manage to bath safely and she does not have the fitted shower (Balslev et al. 2015). Therefore, she had improper hygiene for living the normal life. From the assessment of her mobility by using banner mobility tool, it was observed that she had mobility issues but she able to cook properly and able to meet her friend every week (Davidson, et al.2016). Therefore, the care plan needs to design by considering factors of hygiene issue and mobility issue in this plan. In the care plan, A home carer that is recruited for helping her in managing the household will reduce her concern by helping her in cooking, doing other work of household sufficiently (Shariff, 2015). A social worker required who will help her in the delivery of food and it will ease the difficulty of the patient by enhancing the quality of life (Norman et al. 2015). The arrangement has been made for the assisting her from in and out of the bath(Griffiths, 2015). This arrangement will help to that will prevent the sudden fall of the patient and resolve her hygiene issue. The main goal of the treatment would be the maximization of quality life of the patient by managing the mobility issue of the patient, reducing the emotional distress, therefore, ensuring the quality of life (Rahn et al. 2018). As a nurse manager, it should be advised to caregivers to provide the exercise program for flexibility and restoring the mobility of her. It would provide strength and balance as well coordination of body (Jensen et al. 2015).. One of the main interventions would be referring physiotherapist for restoring muscle functions and providing different medication for reducing the problem (Farag et al. 2016).. This would help to ease the mobility issue. Certain food for increasing muscle flexibility should be incorporated in the diet for the managing the mobility issue of Mrs X. The home caregiver should be suggested to provide help to the patient by use of different aids such as crutches or providing wheelchair or other things that will manage the issue when needed (Landsperger et al. 2016).. Since she was facing the problem of bathing, the fitted shower should be installed for marinating proper hygiene (Balslev et al. 2015). It should be recommended to nursing professionals to take care of footwear’s like providing non-skid slippers. Moreover, fall risk management should be done by professionals for reducing the risk of fall (Batterham et al. 2016).. This would include removal of the bed rails, proper bathroom bars, proper lightening of the house not wearing too much of many clothes (Brett et al. 2014). . This would help in the development of mobility of the patient and prevent sudden fall. Since the loss of mobility was the main reason that had not only affected his daily activities but had also made her isolated and lonely (Landsperger et al. 2016).. Accordingly, effective interventions would help her to live a better life without any emotional distress. Therefore, It should be suggested to health professionals to provide the opportunity so that she can involve her in social activities which would reduce the loneliness (Deschênes and Goudreau, 2017). It should be recommended to the caregivers to engage her in conversation, provide empathy, compassion and address her area of concern in order to reduce her loneliness (Farag et al. 2016)..Moreover, interventions such as motivational therapy, speech therapy, involving her in events where she will be the centre of making any decision should be given (Balslev et al. 2015). It will help her in managing her feeling of loneliness, install hope and boost self-esteem within (Deschênes and Goudreau, 2017).. Sharing personal experiences with her can help her to overcome loneliness. Besides, contacting her family members and arranging meetings with family members would help her in overcoming her loneliness and consequently the quality of life. 10. English, C., Hillier, S. L., and Lynch, E. A., 2017. Circuit class therapy for improving mobility after stroke. Cochrane Database system Reviews, (6).